Matt is a Registered Civil Engineer with more than 7 years of progressive experience in program management, project management, highway and Complete Streets design, and construction inspection and oversight. Matt is engaged in high visibility projects that bring together public engagement with a context driven focus to design and project management. As a former supervising project manager at Massachusetts Department of Transportation’s (MassDOT’s) Highway Design Section, Matt managed projects that impacted all 6 MassDOT districts ranging from corridor reconstruction projects to the Statewide Toll Plaza Demolition Projects. Matt brings his expertise and knowledge of working with local, state, federal, and foreign national agencies, and the public to all his projects. 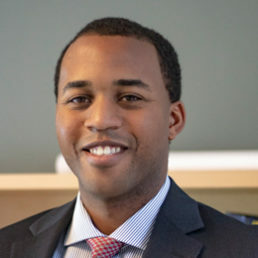 He is an Adjunct Professor for the UMass Lowell Transportation Engineering program, and he holds a Bachelor of Science degree in Structural Engineering from Brown University, and a Master of Science degree in Transportation Engineering from UMass Lowell. Matt is also a captain in the USAF Air National Guard serving as a Civil Engineer Officer for the 104th Fighter Wing.